I’m sharing! 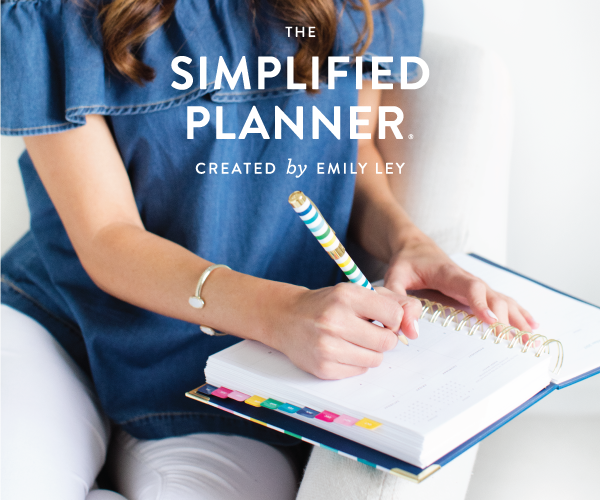 I’ve been working on putting this list together for a couple of months, and it has been so helpful – so I wanted to share! 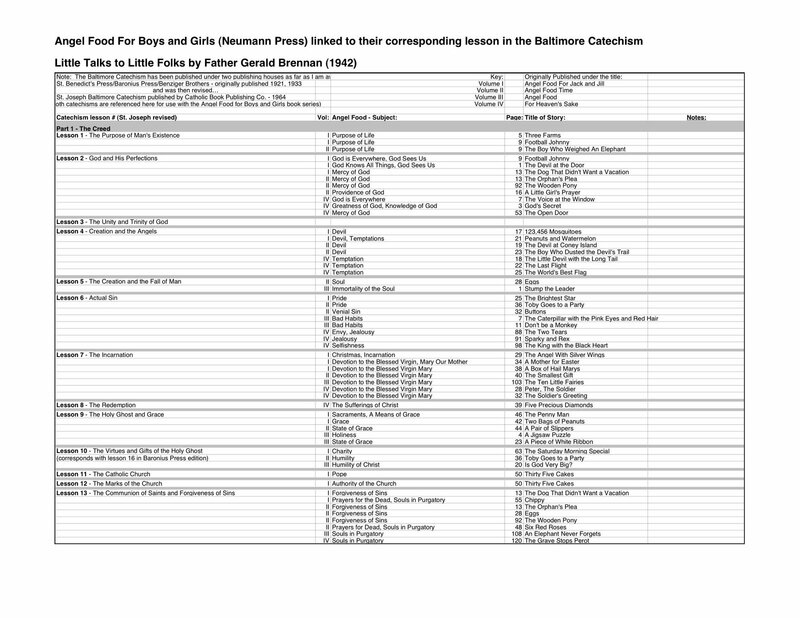 This spreadsheet links the Angel Food for Boys and Girls published by Neumann Press with the Baltimore Catechism #2. The Baltimore Catechism lessons are listed on one side of the spreadsheet and the stories from the Little Angel Readers that correspond to that lesson are listed next to it. It is a wonderful way to reinforce catechism lessons. We love the Angel Food books! They were originally published in 1942 as a set of talks given by Father Gerald Brennan. Needless to say, there are some treasures in these books. I’ve wanted to read them along with our catechism lessons for some time as a way of backing up and building on the lessons in the Baltimore Catechism. Each book lists a topical index in the back of the book, but the spreadsheet index (below) pulls all four of the volumes together in one complete list for handy reference. **Note** The index listed in the Angel Food series references the Revised Edition of the Baltimore Catechism (St. Joseph’s) but the listing below also provides reference for the Baltimore Catechism published in 1921 by St. Benedict’s Press/Benziger Brothers (now sometimes published under Baronius Press). ** Because Baltimore Catechism #2 follows the same outline and topics of Baltimore Catechism #1, this series works well with either catechsim. You can download this spreadsheet by clicking here. Edited to add a link to the 4Real Learning Boards for Catholic Home Educators – if you read through this thread you will find a link to download an excel document of the spreadsheets . You’ll also find an additional spreadsheet by Jennifer Miller that adds in reference material from some of Father Brennan’s out-of-print Angel Food books! This is great!!! 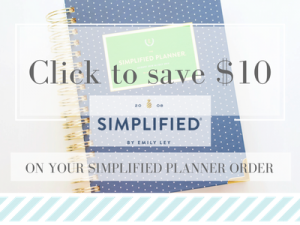 Thank you for sharing your spreadsheets with us! That will sure make it easy to reference. I’ve been meaning to purchase the Angel Food books for sometime, now there is added incentive!! 🙂 God Bless! 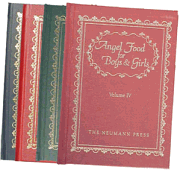 Jennifer,I have been wanting to tie in The Angel Food books with our catechism for years…thank you for doing this! Would it be okay for me to post a link to the pages to the MODG group on yahoo? I know those moms would LOVE them.God bless you! Wow! YOU will be the reason I buy these stories! Thank you for sharing this. God will reward you for your hardwork that encourages the faith! Yes thank you for your sharing. I am amazed you find the time to plan and then post about these things as well as actually do them. You are a most loving and generous person. I will use these with our son who is preparing for First Confession and FHC. I ran across the Angel Food books this weekend at the IHM conference at half price, so I snatched them up, remembering this compilation. Thank you so much for making it available to us– I can't wait to share this with my children! Excellent spreadsheet! Can't wait to use this with our study of the Baltimore Catechism. Thank you so much for letting others make use of something you so thoughtfully put together! Yes, that is the full version of Father Gerald Brennan's Angel Food Stories, Volume I available for Kindle at only .99 cents! I do have a friend who got it for his Kindle, and he remarked that the index available in the back of the books is not present on this version. That shouldn't be a problem if you have the spreadsheets though! I'm not sure, but I think my friend also mentioned that only Volume I was available for Kindle. If anyone knows differently, please do link here and let me know! Hi- just wanted to let you know, I just purchased all four books on Amazon for .99 each! All of the books had an index, though it didn't match the spreadsheet. But that's easy enough to fix- because the title of the sermon is given. 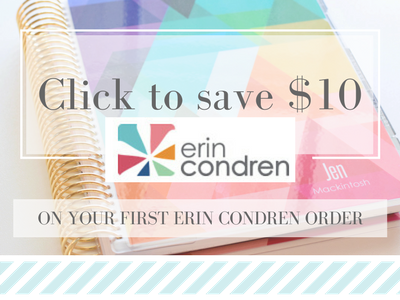 Great deal- and I'm so excited to start next year! This is such a wonderful way to really make learning the cathechism fun!!! My girls will love this..thank you ! Also At what age do you recommend starting the Angel food books and The catechism??? I’m so glad you like it, Angela! I start using them both in the 1st grade. I spend 3 years covering Balt catechism 1, and then another three years covering Balt catechism 2. Oh goodness! Those are such kind and encouraging words – THANK YOU!